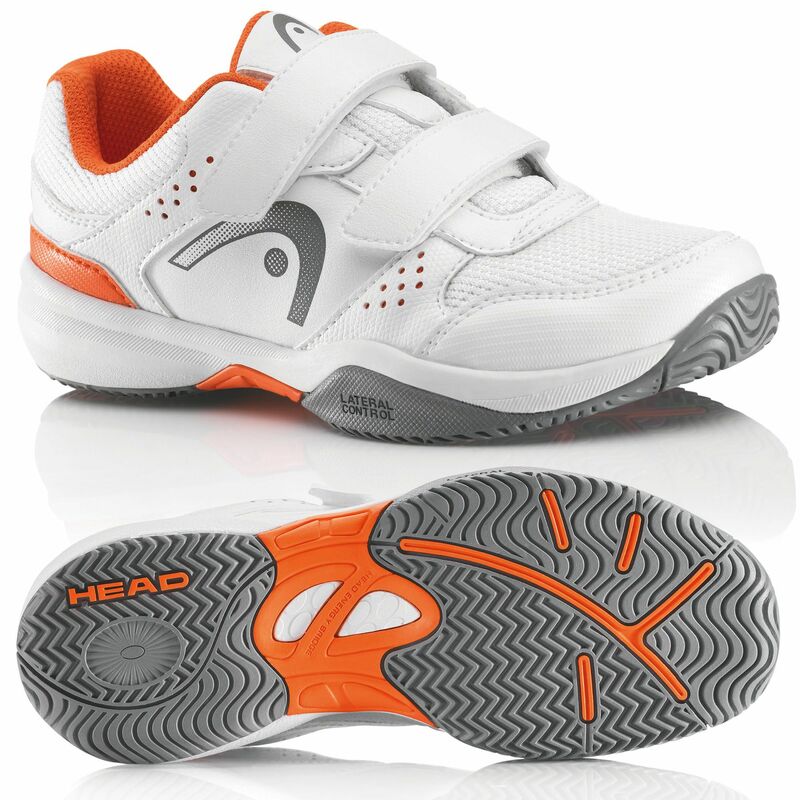 The Head Lazer Velcro junior tennis shoes are made for all types of court surface thanks to their all-court profile outsole. The synthetic leather upper is long-lasting, breathable and has a soft lining for a comfortable fit which is secured by the Velcro straps. The EVA midsole offers good cushioning and shock-absorption for better underfoot feel. The Lateral Control™ technology in the non-marking outsole aids lateral stability and makes changes of direction quicker so you can cover ground faster. The all-court shoes boast flex grooves, weigh 450g (15.9oz) and use enhanced rubber to make them more long-lasting. for submitting product review about Head Lazer Velcro Junior Tennis Shoes SS15.